A charming, funny and heart warming tale about a young boy's friendship with a puppy. The story touches on issues such as bullying, friendship, kindness and sacrifice. It also introduces children to the concept of saving up money earned through doing jobs and chores and using it to buy something they want. Other than Bible stories for children, Christian fiction for youngsters is not something I see very often in the children's section of the library. I'd love to see more books like this. It puts faith into context for children and makes it more relatable in their everyday lives. 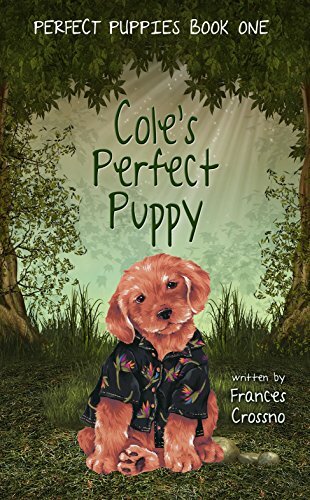 Cole's Perfect puppy is one I'd recommend and I'm looking forward to reading the rest of the series. It isn't preachy and it gently introduces the notion of God's love and doing the right thing. It is a nice story to read out to your class and discuss some of the themes in more detail either during Religion class or Social Personal Health Education. At the end of the book there is a list of six helpful discussion questions to guide your talk.